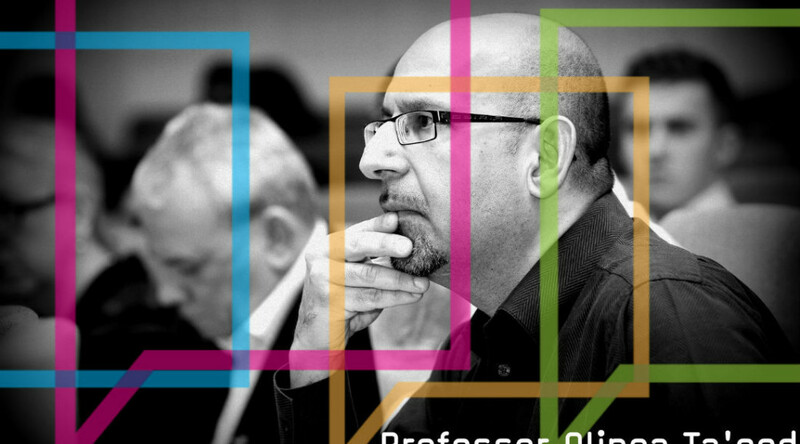 Professor Olinga Ta’eed has led a life spanning private, public and third sectors which perhaps is most accurately described as “entrepreneur, investor and social activist” (Professor Conlon, Dean of University of Notre Dame, April 2011). And despite embarking on plans to retire from a successful business career at 48, Olinga remains active and is instrumental in championing social good throughout business and industry. 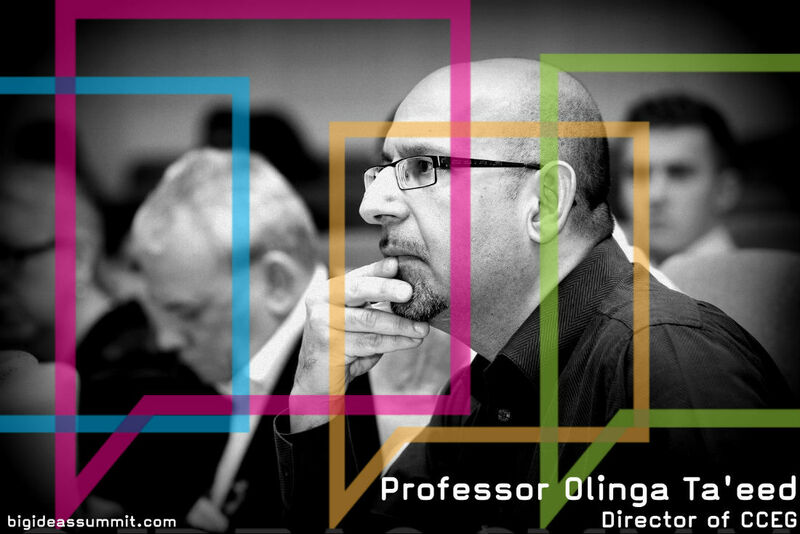 Olinga is just one of our 40 influential thought leaders appearing at Procurious’ inaugural Big Ideas Summit on 30 April. To hear the Professor expand on some of the ideas presented in this interview, why not become a ‘Digital Delegate’ and register for the online event? You can do so here. Procurious asks: You’ve spearheaded the Social Earnings Ratio initiative that will see the annual reporting of social value of 1 billion organisations by 2020. First of all can you explain to the uninitiated what this is, and why it’s important. Olinga: Currently there are very sound robust metrics around financial value based around UK, USA and international GAP (general accounting principles). Financial value is measured because it matters. Increasingly all the ‘other soft stuff’ is starting to also matter– social value, personal value, consumer index, provenance in products, modern slavery in our supply chains, animal cruelty, impact investment, arts, etc. So in 2011 we set about developing metrics as robust as financial value to articulate these intangible values. As we know, in business if you can’t measure it – you can’t bill it and so it is with other values in our society. Modern society is built on sentiment, about how we feel, about our values. It drives consumer purchasing right through to contracts being awarded based not only on price, speed and quality but also on delivering created social value. For example in public sector procurement, as government funds recede they are increasingly looking towards the private sector to deliver the same services into the community through third sector agencies; this is at the centre of UK The Social Value Act 2012, 2 per cent CSR Law in India, Indonesia 2 per cent CSR Law, 2.5 per cent Zakat in the Islamic countries, the Italian 0.5 per cent Cinque Mille, … the so called Big Society concept. To articulate between these blended solutions requires a common currency. We developed that common currency to translate sentiment into financial value. As governments utilise legislation and procurement to transform society, we found ourselves right in the centre of that need to articulate non-financial values. Our mission is to translate complex inputs into simple, singular measurements of true intangible outcomes, the Social Earnings Ratio or S/E Ratio. Procurious: Regarding the 2020 deadline: Is this realistic/what needs to happen to make this achievable? Olinga: We currently conduct yearly UK or US GAP (general accounting principles) audits of 35 million companies in USA, 165 million in USA, 40 million in China … c. 1 billion organisations in the world. Unfortunately using traditional social impact metrics (there are 1153) means surveys, translation proxy tables, etc which cost UK£ 5,000 to UK£ 200,000 to conduct and 3-18 months. This has proven to be a very significant barrier to resourcing the measurement of social value. Imagine the supply chain of a city like Birmingham with 34,000 suppliers, or a housing association with 18,000 suppliers, or of a food retailer with 35,000 suppliers. Who is going to pay for to evaluate these organisations, projects and processes? In any case no one has the time. The typical turnaround from a formal PQQ/ITT to contract award is a matter of days so this is simply not possible. We set about building the first Model-T Ford of Social Value – fast, cheap, high consistent quality, fit for purpose, accessible to all, and in a lot of cases does not even require the intervention with the target company. Big Data, Social Media and Sentiment Analysis have changed the world of social value measurement. Shockingly, our disruptive metric takes 10 seconds and costs UK£ 5, and can be undertaken on a SaaS platform, Seratio.com, allowing 1 billion organisations to be measured by 2020. This is why we have been labelled as “the fastest adopted social impact metric in the world” (Vatican press, January 2015). Procurious: How can procurement help CEOs understand social value? Olinga: Changing CEO sentiment is a 100 year task but changing behaviour is a lot simpler. For example, if s/he wants to get that UK£ 1.5 billion contract, EU directive now says that impact funds must deliver 20 per cent social value. No ifs, no buts. So the driver here is easy. CEO’s are becoming bewildered by the range of KPI’s they have to perform to. It used to be simple – shareholder value and everything else was a slave to that. But now they find if they cough wrong in one part of the world, customers can walk away in other parts of the world due to social media, governments can pick on them for avoiding tax for example, suppliers don’t want to be associate with their toxic brand, etc. But it’s not only about self-preservation, it’s about good business. To do that you have to articulate ‘good’ in terms that CEO’s understand. So we give them 3 distinct metrics – social value as a percentage of their capitalization ie what it means to their bottom line; and S/E Ratio which is an efficiency score just like the P/E Ratio – they could spend less but get more impact. Finally, and most importantly, we benchmark them against sectors, competitors, globally – no one wants to be at the bottom. Procurious: Modern-day slavery and supply chains are intrinsically linked. Do we need greater transparency? Olinga: Let’s not mix up transparency with ethics; they are not the same. When a company demands say 3 per cent cut in supplier remittance, they are making a conscience decision to transfer value. In a capitalist framework, financial value is an artefact between the board and shareholders; everyone else is a ‘slave’ to that. Customers, suppliers, community, statutory bodies, environment, staff … detract from dividends. Pay them more (eg tax, CSR spend, suppliers) and you have less to share with your shareholders and your own bonus. But we now recognize that we operate in a multi-stakeholder Citizenship framework, where all this ‘other stuff’ is social value – and they can contribute towards the total value. So when a company takes out 3 per cent from their suppliers they have made a deliberate and conscience decision to take out value from their supply chain and give it – usually – to their shareholders. What they are saying that their success is contingent on someone else being deprived of their value ie. underpay, poor conditions, etc in their supply chain in a developing country. We however are not here to admonish companies but merely to measure them. Being university backed we are neutral, non-partisan, no agenda of our own. We merely point out that we can measure that you have taken value from the supply chain and perhaps increased your shareholder value by the same. It may be however, that they give the value to their community initiatives – that’s why we don’t judge. We simply allow them to measure value so they can track transference. To hear from Olinga (and many others), watch exclusive videos, read more interviews, and contribute to discussions please register as a ‘Digital Delegate’ on our Big Ideas Summit page.